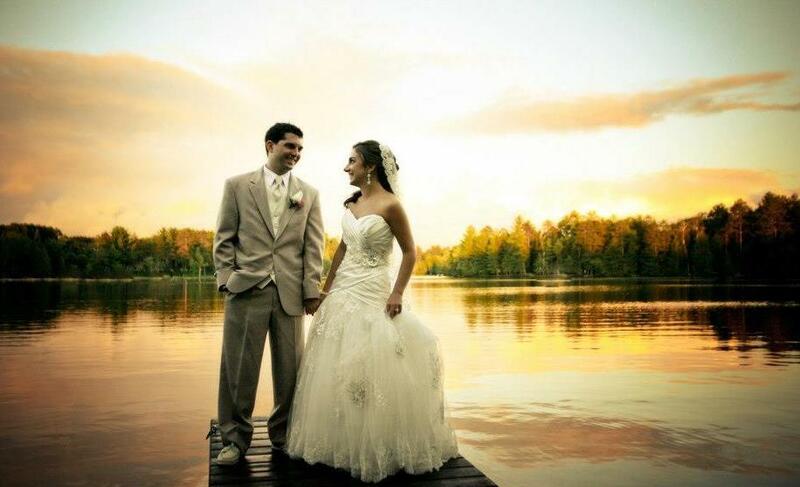 At Menominee you’ll find 65 acres of open space and facilities bordered by lush woods and serene Sand Lake. 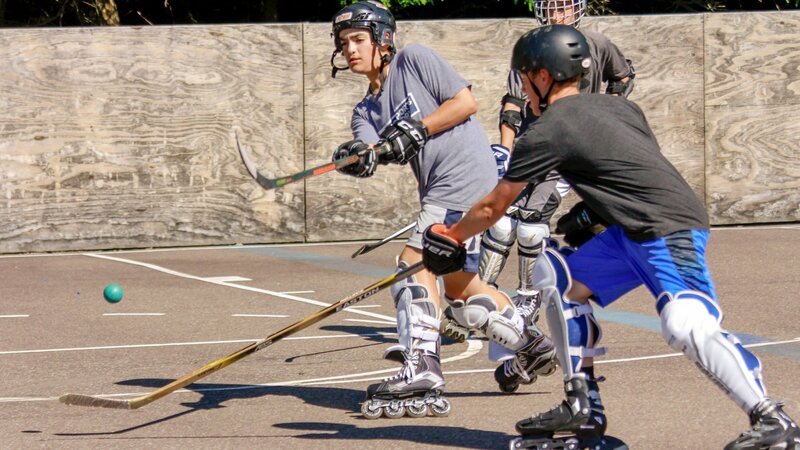 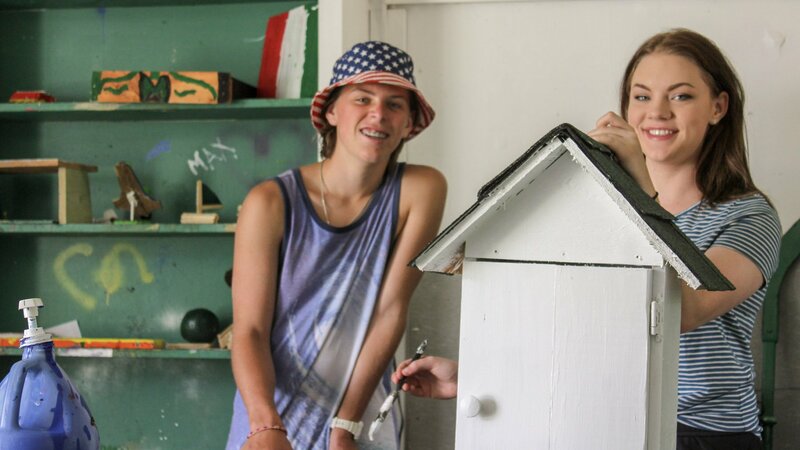 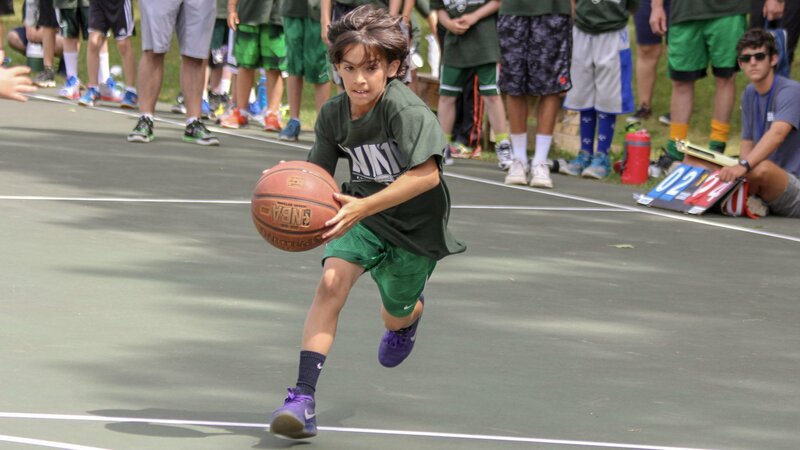 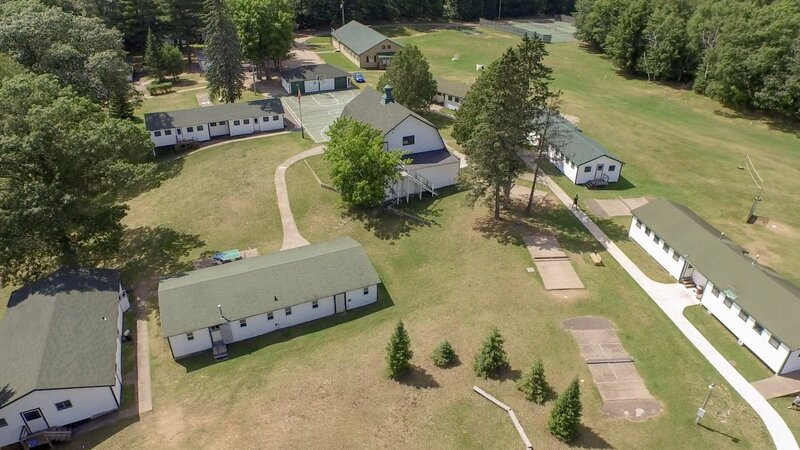 While most sleepaway campgrounds are literally in the woods, our fields, courts, cabins, and halls are out in the open, soaking up the sun. 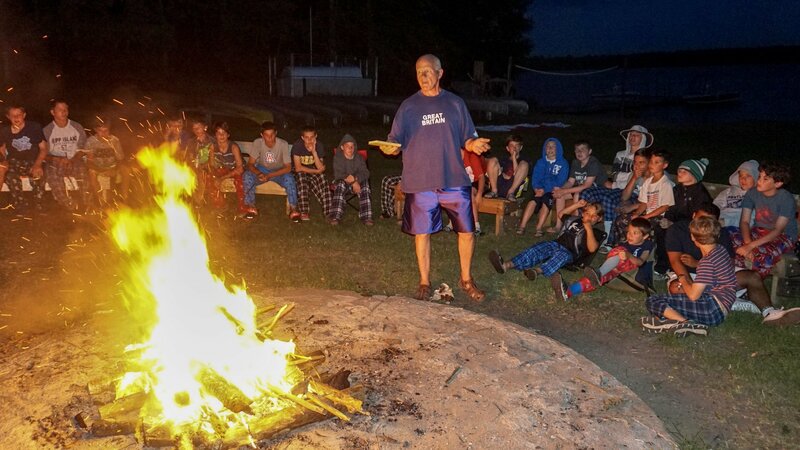 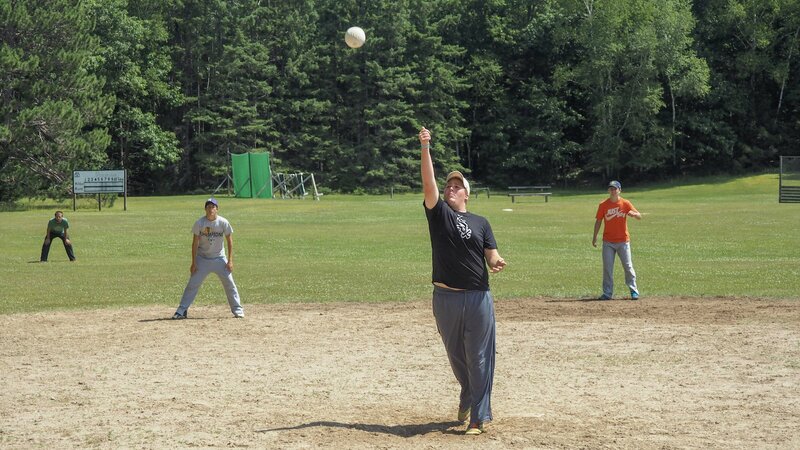 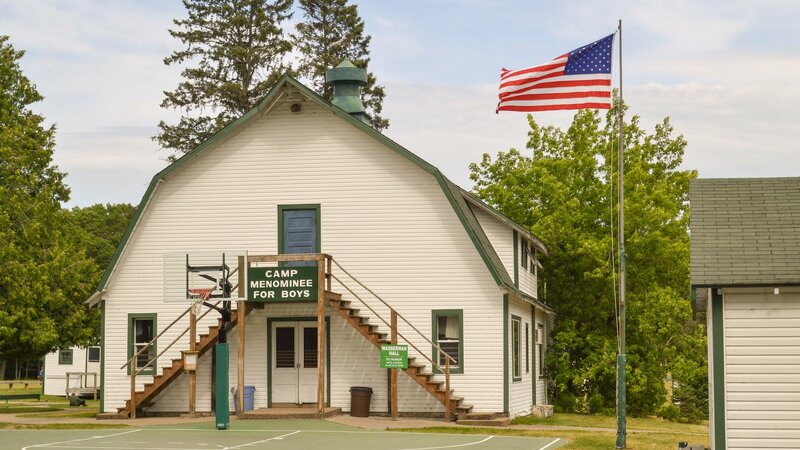 Located in the beautiful Wisconsin Northwoods, Camp Menominee is four hours northeast of Minneapolis, five and a half hours north of Chicago, and a half hour north of Rhinelander–Oneida County Airport (RHI) in Rhinelander, WI. 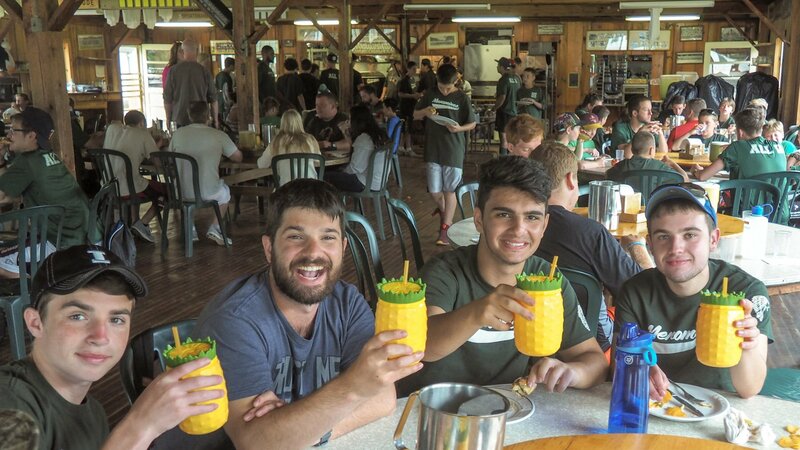 Dining Hall - One of the largest dining halls in the Northwoods with a 250-person capacity, and up to 20 large, round tables with chairs to comfortably enjoy meals meal like you would at home. 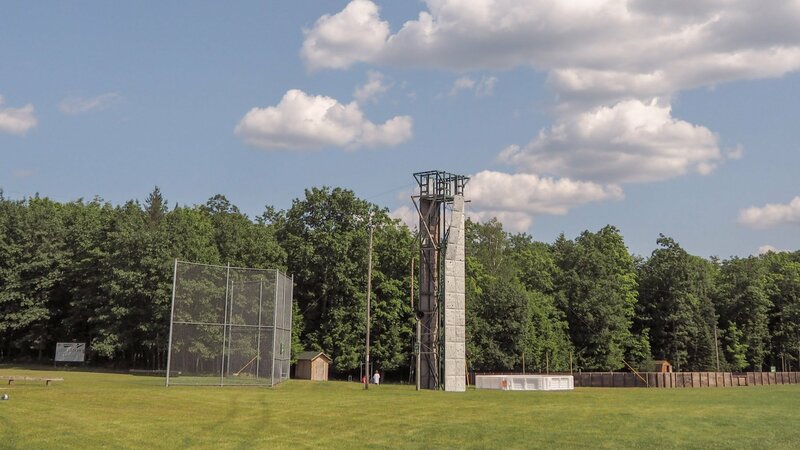 Also, our industrial kitchen can prepare delicious fresh meals for all occasions and dietary needs. 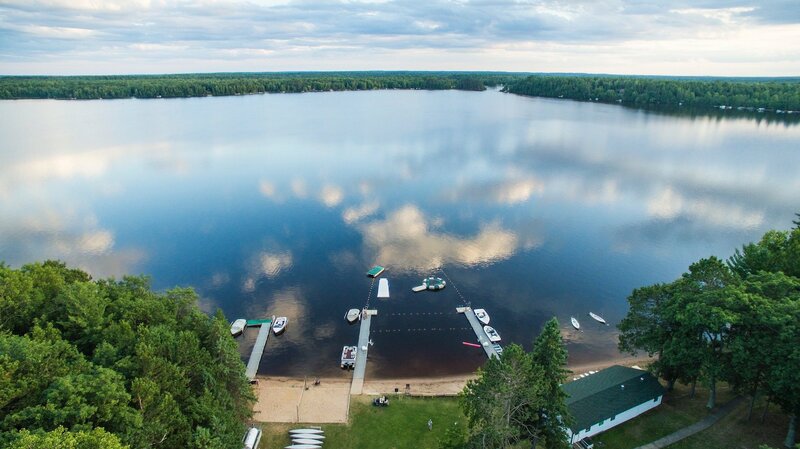 Sand Lake & our beautiful waterfront - An incomparable 600-acre lake ready for water skiing, fishing, sailing, wakeboarding, tubing, knee-boarding, kayaking, canoeing, and more! 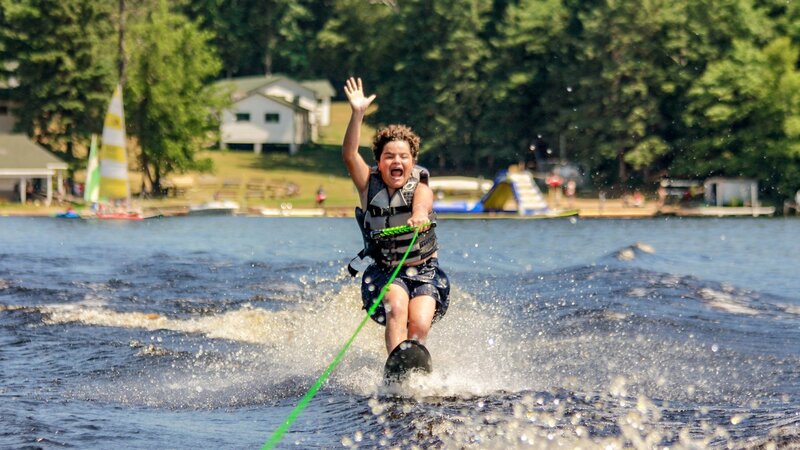 Take advantage of our four speed boats, pontoon boat, kayaks, canoes, sailboats, waterski and wakeboard equipment, tubes, stand-up paddle boards, fishing equipment, and swim area -- complete with trampoline and slide! 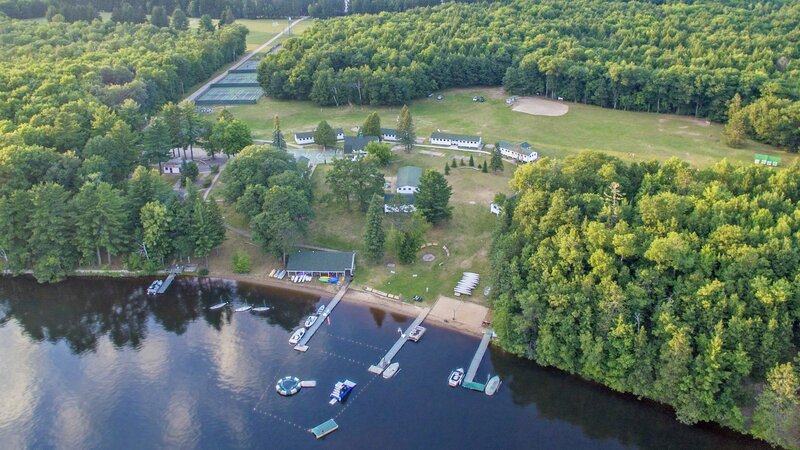 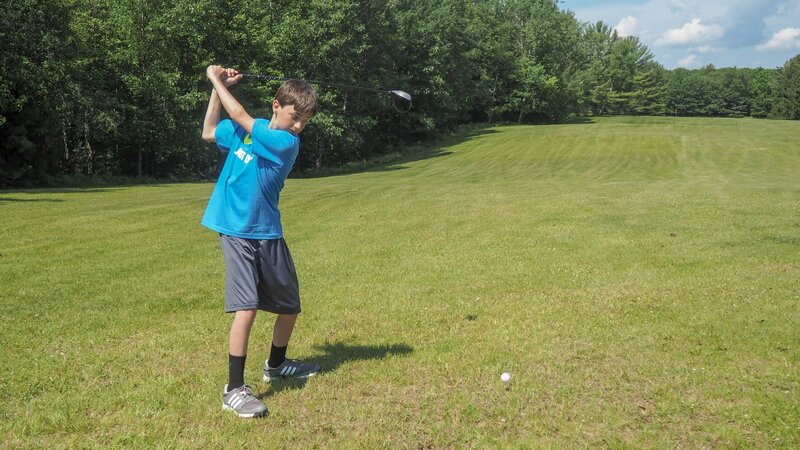 The Northwoods has much more to offer, which means Menominee is nearby hiking and snowmobiling trails, lakefront campsites, golf courses, go-kart tracks, miniature golf course, bowling alley, movie theatre, hockey and figure skating rink, and horseback riding. 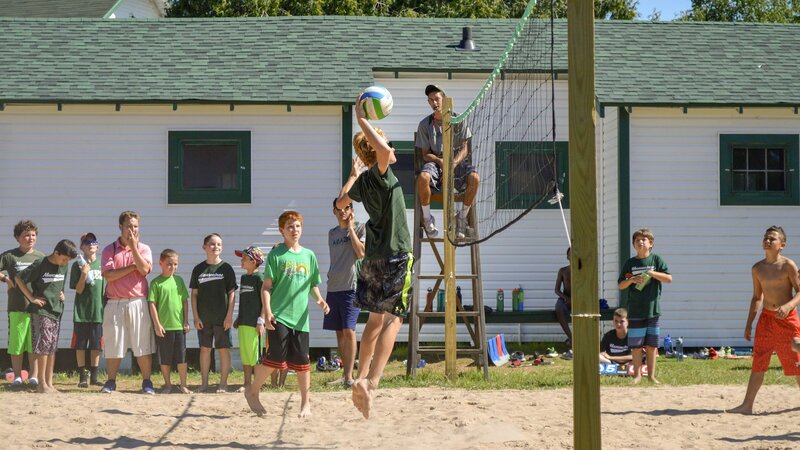 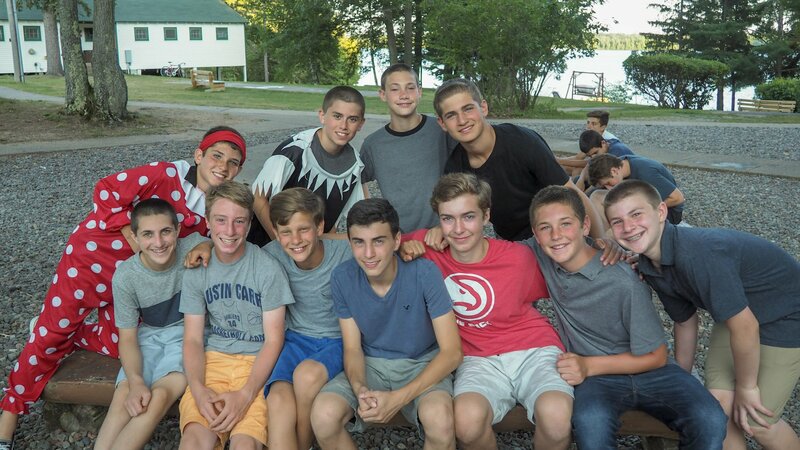 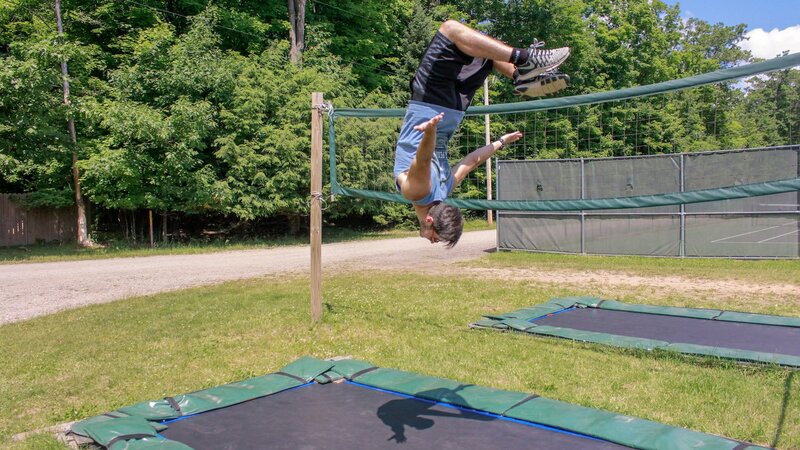 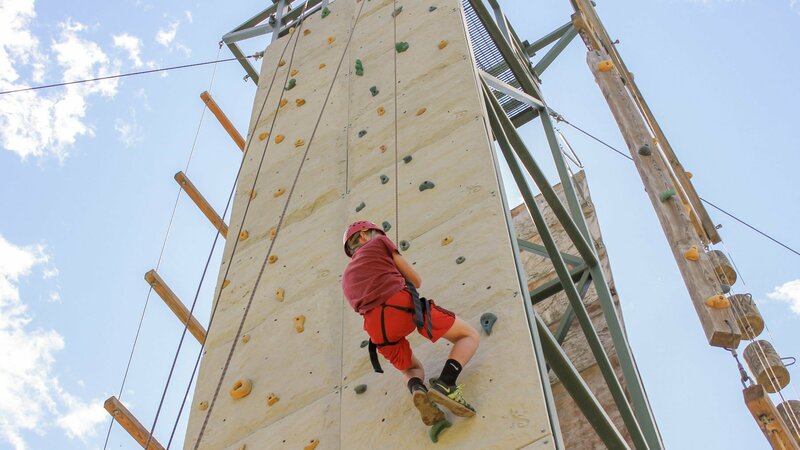 Camp Menominee is the perfect place for your group event, whether you are planning a wedding, birthday celebration, family reunion, company retreat, school group gathering or other type of special gathering. 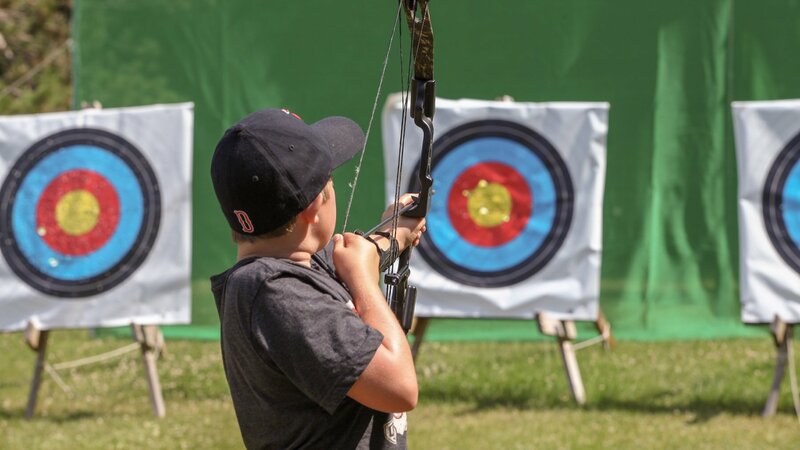 To start planning your event with us, please fill out the form below.